59. As of today, what is the marital status of your parents? 60. Month and year they were married, remarried, separated, divorced or widowed. This question asks about your biological parents’ marital status in order to determine whose information is to be reported in future questions in the application. 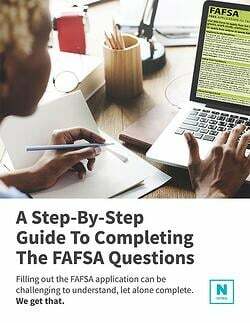 If you have a legal guardian, you are not obligated to report their financial information in "Parent" section, but you will want to report any financial support provided to you in the "Student Untaxed Income" section of the FAFSA. As a point of clarification, if one of your biological parents is divorced from the other, you will only need to report the financial information of the parent who has legal custody of you.